On May 8, 2014, the Tools exhibit took place at the Big Car Service Center. This piece is by John April. My tool is my job. After university, I spent 6 years looking for a job to support my writing practice. The process of looking for a job all but drove me crazy and nearly destroyed my writing practice. 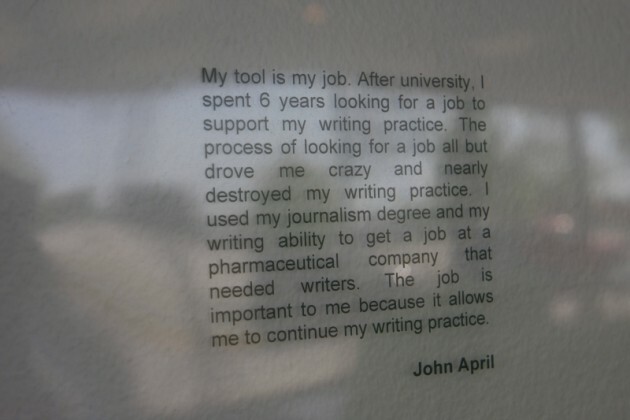 I used my journalism degree and my writing ability to get a job at a pharmaceutical company that needed writers. The job is important to me because it allows me to continue my writing practice.